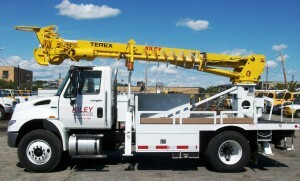 James A. Kiley Co. is a final-stage manufacturer of Terex Telelect, Terex Hi-Ranger Aerial Devices and Terex Digger Derricks. We invite you to explore our website and view the wide range of products, parts and solutions that we have to offer to utilities and utility-related industries. To learn more or place an order, please call us today at 617-776-0344 or contact us via our on-line form.